Oh, how I love your teachings! The Bible is God’s Word to us, the spiritual food that we need to live each day with love, wisdom, and purpose. That’s why today we’re thrilled to announce Streaks. 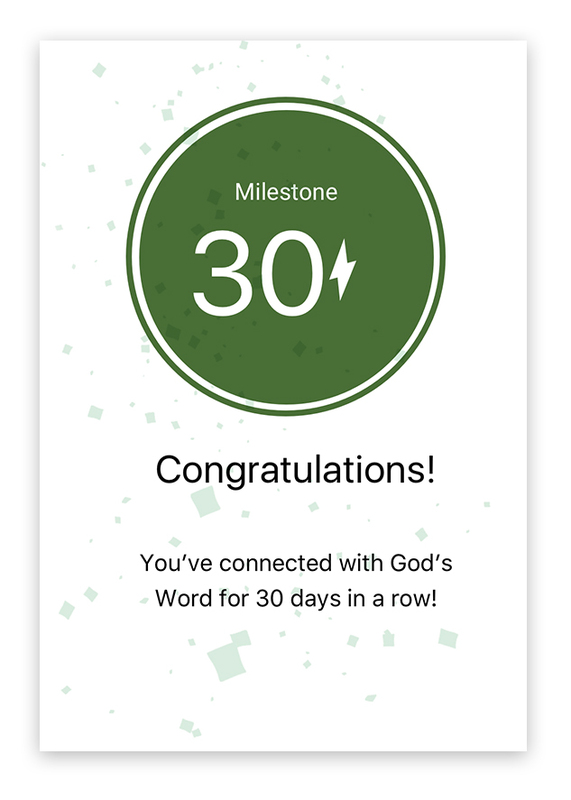 We designed Streaks specifically to help you build your habit of connecting with God through His Word. The strongest habit starts small. Streaks help you take it one day at a time. Streaks encourage you with push notifications: short, gentle reminders to connect that help you build momentum over time. And along the way, each time you reach a new milestone — such as engaging with God’s Word for 7 days in a row or beating your previous record — Streaks reward your accomplishments with special, mini-celebrations. That’s it! Once you have our latest release, every day you open the Bible App, you’ll be building a Streak… which means you’ll be building your habit. Read or listen to Scripture. Enjoy today’s selection for one of your Bible Plans. Watch a Bible App Video, such as “What is the Bible?” or “Matthew 5:1-16” (the Sermon on the Mount) or “Bread of Life.” Find Friends in the Bible App and grow your Bible community. 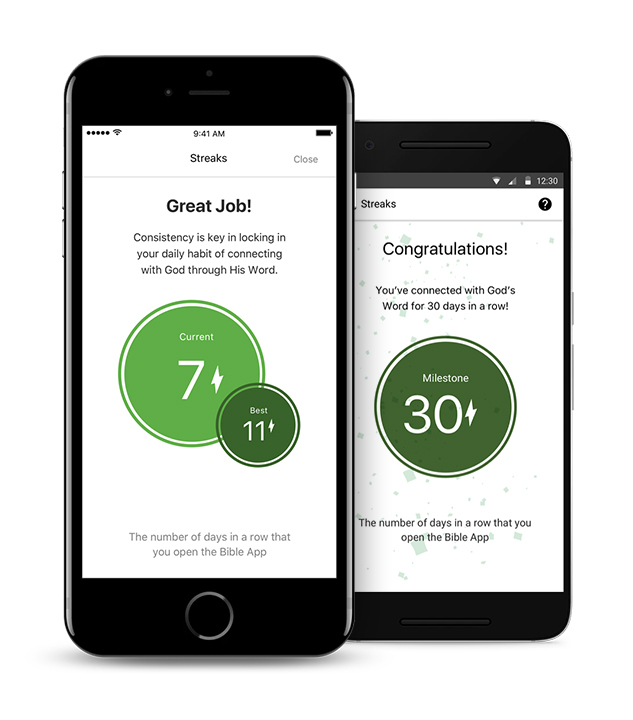 1 Streaks require a network connection, and that you be signed in to your YouVersion account. The essential app for all your new devices. Wherever you go, take God’s Word with you. Hopefully, you already have the Bible App on all your Android, Apple, and Amazon devices. Even on your laptop and other computers, think of Bible.com as the Bible App for them. For all your new devices — including the ones still on their way for the holidays — chances are good we have a Bible App for them, too. 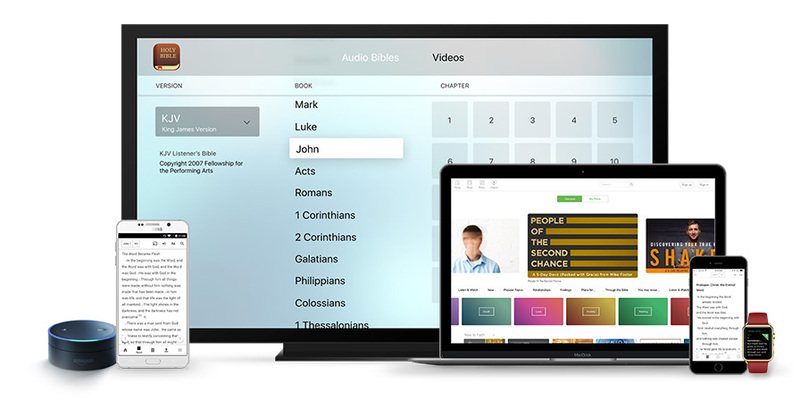 You can find the Bible App in all kinds of places, such as on Amazon devices, Apple TV, and Apple Watch, to name just a few. Check bible.com/app or search for “Bible” in your device’s app store to see what we have for you. Don’t forget to get the Bible App for Kids on all your kids’ new devices — so they can start enjoying it as soon as they get them unwrapped! Introducing: The Bible iMessage app. 1 iMessage apps are only available on Apple devices running iOS 10 or higher. 2For now, the Bible iMessage app is only available in English. If you’d like to be among the first to know when we introduce new features, click one of the icons at the end of this email to follow us on social media. Say you’re texting with a friend, and you realize they could really use a kind word. Or you’re organizing your notes to study for a big test, and you want to include a reminder to yourself not to be anxious. Or a friend posts on social media that they got the job they wanted, and you want to celebrate with them. If you’ve ever used an emoji keyboard, then you already know how to use Bible Keyboard.2 But, even if you haven’t, it’s so simple (and fun!) that we’re sure you’ll love it. 1 Bible Keyboard is available on Apple devices running iOS 8 or higher. Before you can start using Bible Keyboard, first you’ll need to enable it. After you’ve updated your Bible App, tap “More” (the … at the far-right side of the bottom menu), then Bible App Settings, then “Enable Keyboard,” and follow the prompts. 2 For now, Bible Keyboard is only available in English. 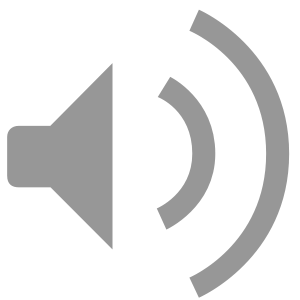 If you’d like to be among the first to know when we introduce new features, click one of the icons below to follow us on social media. Our mission at YouVersion has always been to help you engage with the Bible. Last year, we completely redesigned the Bible App to make it even easier to get more of God’s Word into your daily life. Today, we’re thrilled to announce our most significant update since that launch. These brand-new features — along with exciting upgrades to some old favorites — now help you do more of the things you want, even faster, and more simply than ever before. 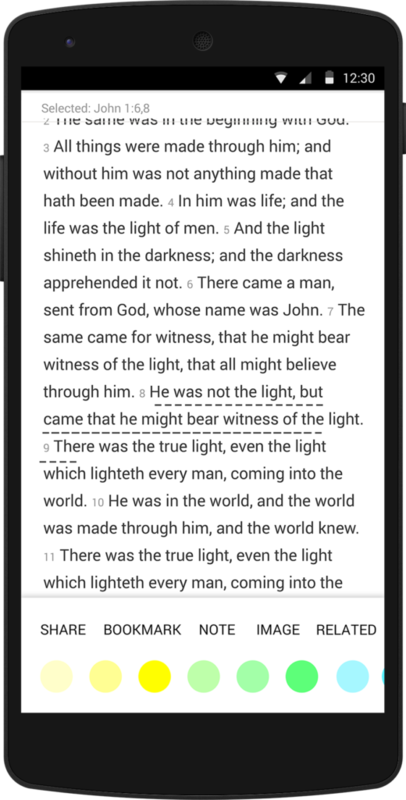 Now, for the first time ever in the Bible App, you can quickly see how different Bible versions translate the same passage. Perhaps you’re having difficulty understanding the meaning of a passage, and you want to to see it phrased another way. Or maybe you come across a verse that feels like you’ve heard it before, but it’s just not quite the way you remember it. 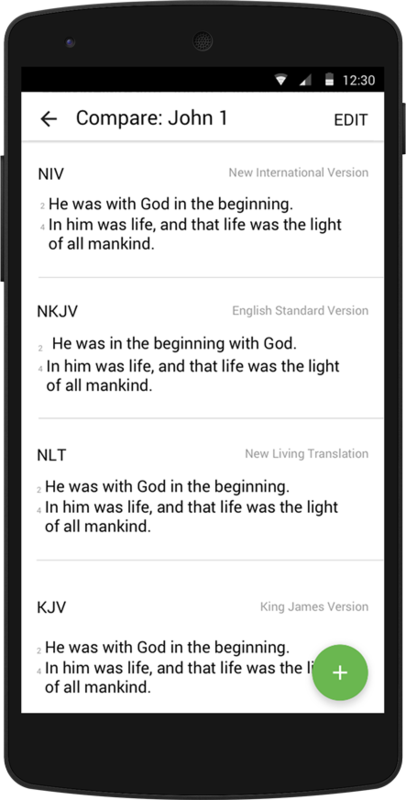 Tap on the verse, then tap Compare Versions, and see the same verse repeated in all of your recently used Bible translations. And as you’re comparing, you can easily add or remove which versions you’re seeing. You can even Compare Versions when you’re offline, showing your verse in any versions you’ve previously downloaded. We never stop exploring new ways that we can equip you with tools to bring biblical wisdom to every aspect of your everyday life. For this release, we created several new Plan categories, then expanded the ways we categorize Plans, then completely redesigned our Plan “Discover” page to be more visual and intuitive. Struggling with stress? Looking for wisdom for your relationships? Need a dose of hope of inspiration? Now, not only is it easier to find just the right Bible Plan(s) for the season of life you’re in — it’s fun! We also completely redesigned how Verse Actions work, with a handy new menu that makes it simple to Share, Bookmark, Highlight, create Verse Images, and more. 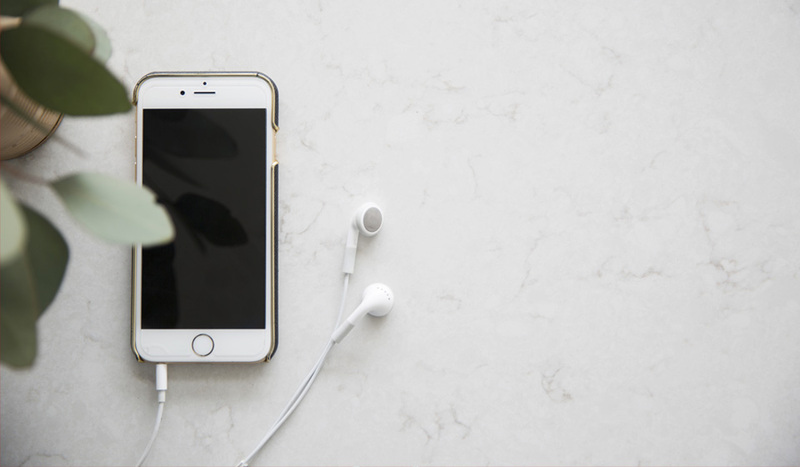 When you feel inspired as you’re reading or listening, one tap slides your options into view at the bottom of the screen… without blocking your view of Scripture. One more tap starts any available action. Adding or removing a Highlight — or changing the color of an existing one — is now as easy as touching a dot on the all-new color bar. Slide the Verse Actions bar from left to right to see even more options, such as custom Highlight colors and our all-new Compare Versions feature. We want your Bible App experience to be as amazing as possible. So before you update or install this latest version, please check your device Settings to ensure that it’s up-to-date with the most recent release of iOS or Android available for your device. Some Bible App features may not be available on older devices, or on older versions of iOS or Android. The Bible App has been installed on more than 231 million unique devices, all over the world. 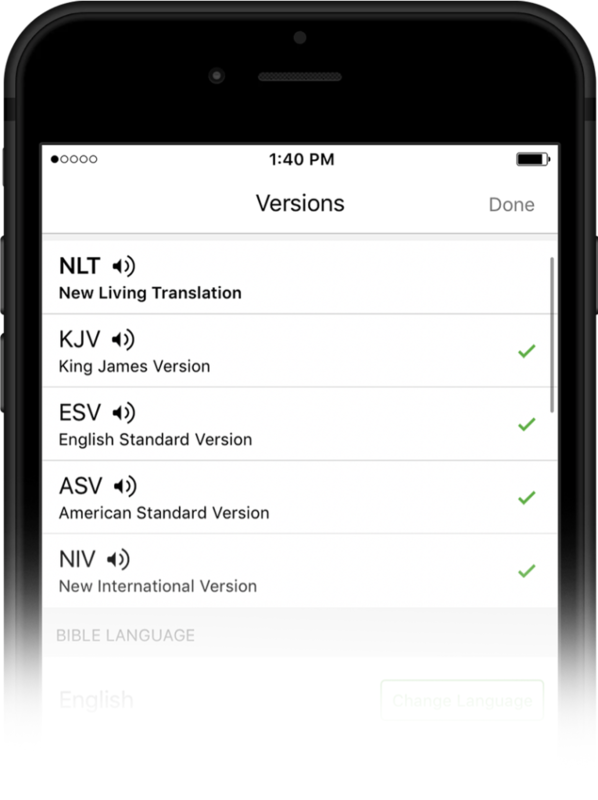 Developed by YouVersion, the Bible App offers more than 1,300 Bible versions, in more than 1,000 languages. And it’s always completely free.